Rubio is the chairman of the Small Business Committee, which is releasing a report on the issue on Tuesday. The report argues that more equal rates would remove companies’ incentives to buy back shares in the first place. “Tax policy changes to end this preference might, on their own, increase investment by shifting shareholder appetite for capital return,” the report says. Instead, it suggests using the revenue from a higher capital gains tax to encourage capital investment. 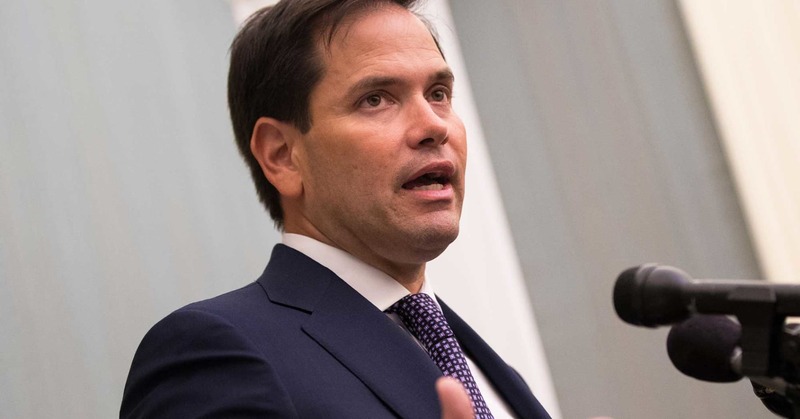 The current tax law — passed by Republicans in 2017 with Rubio’s reluctant support — allows businesses to fully and immediately deduct their expenses, but the popular provision phases out after 2022. The new proposal would make that measure permanent and expand the types of investments eligible for the deduction. “The existence of non-productive alternatives to capital investment, as a result, makes the product of the firm’s American workers less valuable while at the same time increasing profits, making possible a world of higher asset prices, lower investment in the economy, and lower worker pay,” it says. The committee’s proposal is part of a much broader report on U.S. and Chinese competitiveness, and critical questions — such as how high the tax on capital gains should be — remain unanswered. The message against stock buybacks has become a central theme for the early Democratic presidential contenders for 2020 — and a narrative that Republicans have fiercely resisted. But Rubio was a GOP outlier during the debate over the tax law, arguing for a higher corporate tax rate to offset the cost of a bigger child tax credit. Since then, he has repeatedly highlighted the relatively slow growth in wages compared with the massive jump in share repurchases. The tweet highlights Rubio’s key philosophical difference with Democrats: Rather than blaming companies for reaping the benefits of the law, the report suggests they are reacting to poor incentives. “If there is a problem with the raising and deploying of capital, then, it is not attributable to the firm’s response to its governors, but rather the terms upon which governance is set,” it says.